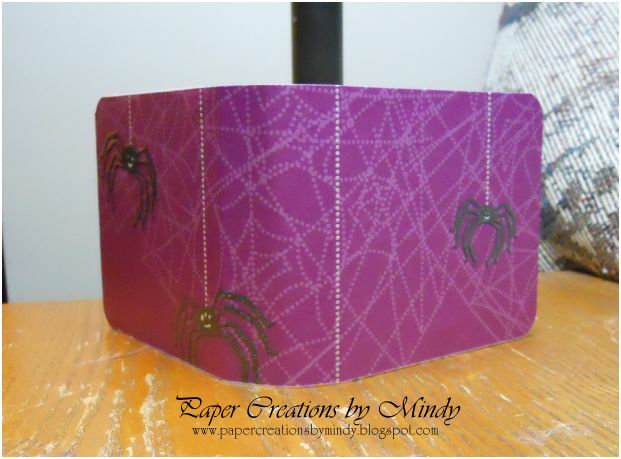 Welcome to the Halloween Blog Hop! So glad you could join us today! I hope you are having a blast and picking up some great ideas along the way. If you came here from Lisa’s Blog you are on the right track. Otherwise, if you just happened along my blog you can start back at the beginning with Ashley – you won’t want to miss a thing! AND KEEP READING AT THE END – YOU DON’T WANT TO MISS THE GIVEAWAYS! For my Halloween project I made a little photo stand. I found the pattern from Split Coast Stampers. They have some fabulous ideas out there to fit anyone’s needs – too many to choose from actually! Front view of the photo stand. It consists of two coasters decorated with pattern paper. One side has the witch that I created from Scraptastical Kreations. The other side is a spot to put a picture. I plan on putting my daughter’s picture on here of her in her Halloween costume… I just have to print it. lol. Back of the photo stand to see the nifty paper design…. And… the close-up of my bear . I really hope you’ve enjoyed my project – I can’t to get it on my desk at work! Now you’ll want to hop on over to Staci’s blog. I’m also posting the entire line-up in case you get lost along the way. See below the list for the giveaways! SO WHAT’S IN IT FOR YOU?! Chance at Cricut cartridge, twine and goodies at Cricut Craft room – visit their facebook page HERE and “like” them..
Be sure to visit Ashley’s page on Monday, October 24 to find out if you are the winner! 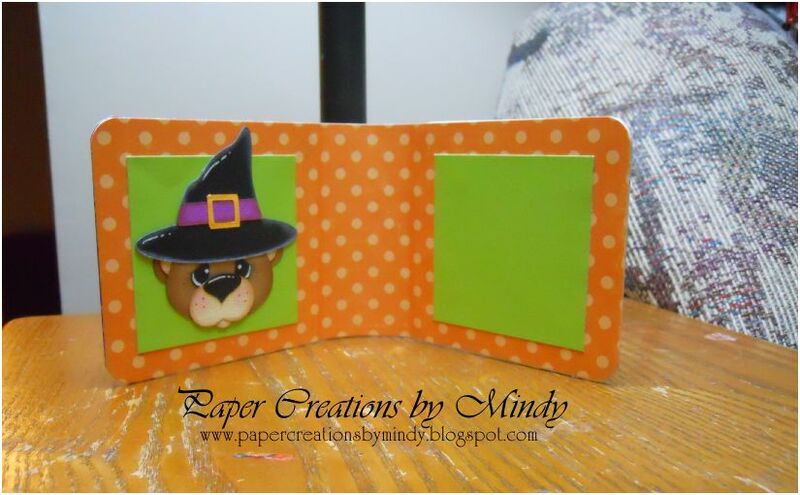 what a cute idea Mindy! Make one for each year and use them as decorations! super cute! Such an awesome idea Mindy. It's super cute and I love the pattern paper and the bear.Thank you so much for being apart of the hop. This is so super cute and such a great idea. I am a follower here already! What a great idea and your bear is really cute! Cute photo holder. I love the papers you used. Adorable Bear!!! I love your project thanks for sharing! Very cute photo stand! I love the bears from Scraptastical Kreations too..Very nice project! This is adorable Mindy! I just love SCS – their tutorials are so great – I have tried many of them 🙂 Your witch is really cute! I am a new follower of your cute blog. I really like this lil holder. I might have to “borrow” it. Hee hee. New follower 😉 Stop over and see me if ya get the chance sometime. New follower here. 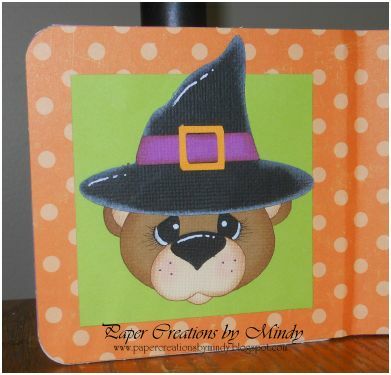 I love your witch bear just soooooooo cute. Great photo frame! So cute! Love the photo holder! Such a great idea too! The bear is so cute !!! oh so cute!! I should make some of these for my kids grandparents!! love your bear the shading is amazing! Awww!! Too cute! Love that bear! I love your project! The papers you chose were great and I love your little witch. TFS. This is SO CUTE!!! I love that bear! It's adorable! TFS! Mindy I love the photo stand it turned out wonderful. I can't wait to see a pic of Ali in her Halloween costume in it. A great way to create wonderful memories. Thank you for including the link to Split Coast Stampers. I have never heard of them but now I have thanks to you and I will be checking them out for sure. Thank you for sharing your project with all of us. Super cute photo stand! I have lots of those square coasters, I should do something like this with some of them. Thanks for the inspiration. Fun photo stand. You did a cute job on it. I'm a new follower hope you will come follow me too.